People know effective leadership when they see it and simply holding a position in leadership doesn’t make someone a good leader. A great leader strives to help others reach their goals; they are always developing themselves, and act as a visionary for their organization. 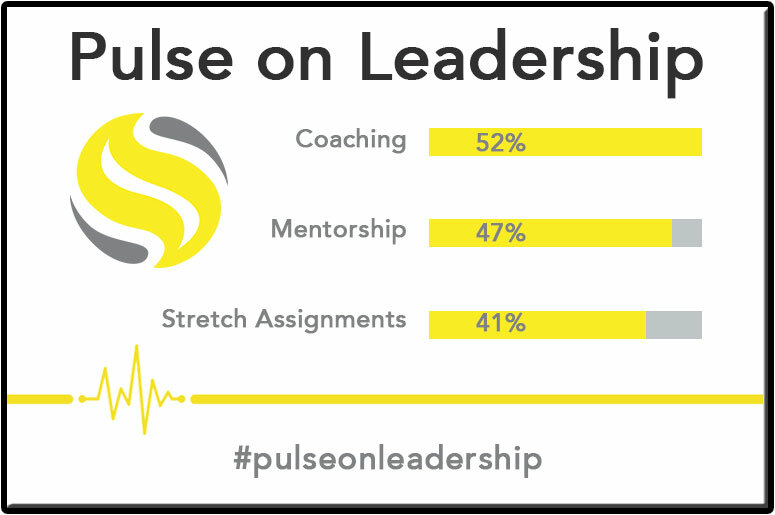 Fresh from The Talent Company’s new Pulse on Leadership study (http://thetalent.co/pulseonleadership/), we asked the study’s participants what they considered to be the top traits of a great leader. #12 – Open & Trusted – People want to work for a leader they can trust−a leader that has morals, values, and integrity. An open and trusted leader will always get more from their team and have a stronger following. Leaders new to their role and/or to their team need to build their credibility and trust from their team over time. Unfortunately trust is a trait that can be lost quickly. Be honest, fair, candid and forthright, and treat everyone in the same way that you yourself would want to be treated. #11 – Sense of Humour – A sense of humour shows your employees that you are more than a leader, and that you aren’t a machine, which encourages them to feel comfortable around you. #10 – Empathetic – People want their leader to have a caring side. Great leaders care about their people, not just about the business. It’s not about their ego, it’s about humility. It’s not about fulfilling personal agendas, it’s about helping their people to be successful. #9 – Self-Awareness – A great leader not only understands the many different traits needed to effectively lead others; they also have a strong awareness of their own qualities, strengths and areas to continuing to develop themselves. When they look into the mirror, they see who they really are and how others see them versus who they imagine they are. #8 – Passionate & Optimistic – People want to work with and for people who lift them up instead of dragging them down. A great leader seeks out the positives in their people, helping them overcome their own feelings of self-doubt and spreading passion and optimism throughout the organization. Passion is infectious. Others will feel it and want to get on board with you. #7 – Results Focused – At the end of the day as a leader you are responsible for delivering results. What really counts is what is accomplished. Great leaders spend their energy on the most effective actions and activities to achieve the greatest outcomes. #6 – Personal Accountability – A great leader takes ownership of situations that they are involved in. They see them through and take responsibility for what happens – both good or bad. They don’t point fingers and blame others when things go wrong but do their best to make things right. #5 – Talent Focused – To become a great leader, you must build and develop a great team. The ability to recruit great new talent while focusing on the individual and collective growth and development of your team is often overlooked as a trait of a great leader. How can you as a leader be successful if you don’t have great talent around you? #4 – Strong Communicator – Communication is one of the fundamental capabilities of a great leader. Communication is a two-way conversation with listening as important as speaking. Great leaders listen more than they speak and the more personal and engaging the conversation is, the more effective it will be. #3 – Supportive – A great leader supports their team members by creating an environment where it is safe to take risks, be honest, speak up and reach their potential. Truly effective leaders not only recognize potential, they feed it, prepare it, and allow their team to exercise it. They know when to shield their team from controversy, protect them and keep them focused on the most important tasks. #2 – Commitment – Nothing shows commitment and humility like getting your hands dirty with the rest of your team. Showing your commitment sets the example for others to follow, and leads to greater loyalty and respect for you as a leader. #1 – Inspiration & Vision – A great leader is able to paint a vivid picture of where their team and organization is headed. Try to paint and communicate a vision of the future that inspires your people to do whatever it takes to get there. People want to work toward something they believe in – it gives your team a reason to work, to succeed, and to do their best in everything they do. Leadership doesn’t come naturally to everyone, and it can’t be learned overnight. To be successful as a leader, you must approach it as a long-term journey of continuous reflection and self-improvement.